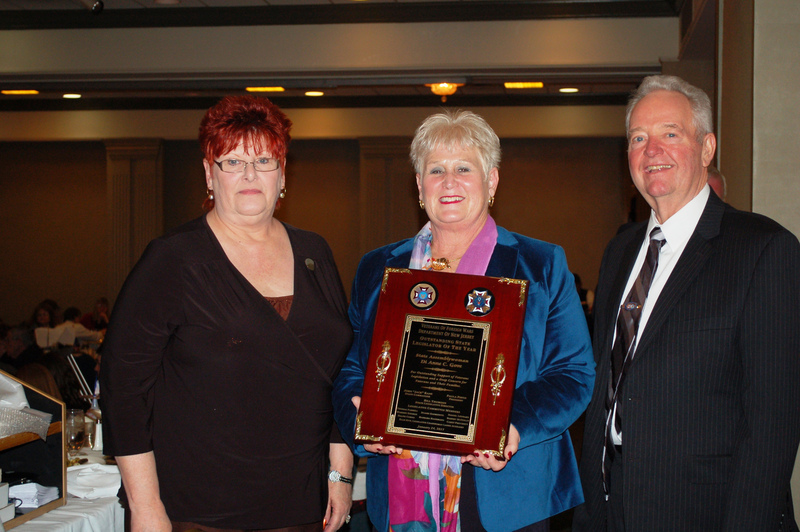 9th District Assemblywoman DiAnne C. Gove was honored by the Department of New Jersey Veterans of Foreign Wars (VFW) as Legislator of the Year during the Voice of Democracy/Legislative Dinner . 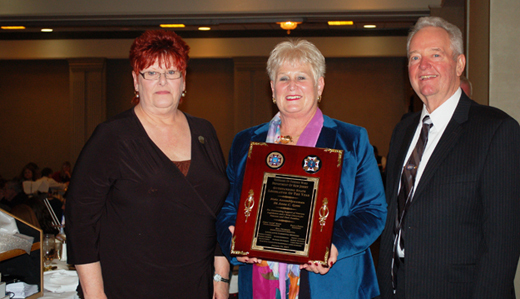 Upon being elected to serve in the Assembly in 2010, Assemblywoman Gove has served on the Assembly Military and Veterans’ Affairs Committee. The Assemblywoman also served on the New Jersey Veterans’ Hospital Task Force. Prior to serving in the State Legislature, Assemblywoman Gove taught American history and government at Southern Regional High School for 32 years. “It is an absolutely tremendous honor to be named Legislator of the Year by such a distinguished and respected organization that has dedicated itself fully to improving the lives of our veterans as well as their families. “Teaching American history and government to our youth for 32 years allowed me to have an even greater respect for veterans and a tremendous sense of pride in our Armed Forces. My respect for veterans began at an early age with my father, who was everything to me, who served in the Navy on a destroyer fighting in the Pacific Theater during World War II. “Against this personal background, veterans’ issues have played an extremely important role in my decision to serve in the Legislature. Serving on the Assembly Military and Veterans’ Affairs Committee has allowed me the privilege of working with the VFW and other veterans’ organizations in advancing the shared goal of improving the quality of life for our veterans and their families. In representing the 9th Legislative District, Assemblywoman Gove has remained at the forefront of developing veteran’s policies on a broad array of issues. Assemblywoman Gove authored the 2011 law known as the “Veteran-Owned Business Assistance Act,” that requires the state to develop strategies to expand the number of veteran-owned businesses interested in and eligible to secure State contracts. Additionally, the Assemblywoman authored the state’s landmark 2013 law to protect servicemembers’ parental rights by prohibiting the courts from entering into an order changing the custody arrangement for active military duty personnel.